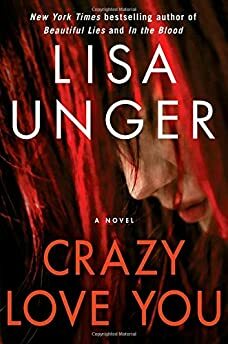 Largehearted Boy: Book Notes - Lisa Unger "Crazy Love You"
Book Notes - Lisa Unger "Crazy Love You"
Lisa Unger's latest novel Crazy Love You is a taut and riveting psychological thriller. "This is a complex, intricate story, yet the pages fly by as Ian, the most unreliable narrator since Nick Dunne in Gone Girl, leads us on a wild ride in this superb psychological thriller." There is often just a fine and nebulous line that lies between the seemingly disparate. The woman in love veers into obsession, and suddenly her behavior looks a lot like hatred. The boy who stands up to a bully on a playground likes the feeling of power and becomes a bully himself. Passion between a man and a woman so intense that it clings and starts to look like violence. That moment, that delicate shift between two poles, is a space that interests me. I like to dwell there, asking questions. Music often helps me find my way there. I listen to a wide variety, from Bauhaus to Gregorian Chants, from Madonna to Chopin, Jeff Buckley, Regina Spektor, Duran Duran, K+FKA twigs – usually music that is atmospheric, pulsing or lyrical. I don't always listen to music when I'm writing. But I'm always listening, especially during my daily workouts -- which is where I do my best thinking, hammer out narrative issues, and find the way forward in my novel. To return to the headspace I was in for Crazy Love You, I went back to the playlist I was listening to most often during that time – not while I was writing, but when I was "not writing." And, surprise, surprise, it's practically a soundtrack for the book. Songs that explore some of those dichotomous places that fascinate me – beauty and ugliness, love and hate, pleasure and pain, hero and villain, youth and adulthood. Lady Gaga sings about wanting her lover's "ugly" and his "disease." She wants his "horror", his "psycho." She wants all of him, even the parts of him that are frightening and dark. This is a big theme in the book: Can you love all of a person, even the shadow they seek to hide? Is that ugliness more attractive than beauty depending upon your appetites or needs? Ian Paine, the graphic novelist at the center of the novel, knows there's a terrible dark side to his lifelong friend Priss. She draws out the worst in him by enabling his addictions and satisfying his basest desires. And he can't stop wanting her, even as he tries to get away. Likewise, Megan, Ian's new girlfriend, is drawn to him even though it's clear from the beginning that he has some real issues. (Or is it the shadow that attracts her?) Megan, who by all outward appearances is the perfect good girl, has a few scars of her own. Ian sees this from the very beginning, as well. Far from driving him away, it intrigues him. We are all a shifting of light and shadow, a mosaic of good and bad motivations, right and wrong choices. Love accepts all of us, even the darkness. Eminem (featuring Rhianna), "Love the Way You Lie"
I have written about the power and the pulse of Eminem's lyrics before, how they move with the beauty of their poetry, and the throb of anger. He can take me to an angry, desperate place, which is someplace I needed to go often for this book. If Priss and Ian have a theme song, this is it. When they were children together, Priss was everything Ian wasn't: strong where he was weak; brave where he was cowardly; decisive when he wavers. She's a hero to him, a defender. But as they grow older and he gets stronger, the balance of power in their relationship changes. Once a hero in Ian's life, she's starts to look a lot like a villain. A thread of violence runs through their years together, and the love they have for each other takes them both to some horrible places. When Eminem sings: High off her love/ drunk off her hate/ It's like I'm huffing paint and I love her the more I suffer, I suffocate … it brings Ian to mind. Ian is addicted to Priss; he's drunk from the highs of their relationship, even though she's poison. And the lows are crushing, bringing out the worst in him. Addiction is another theme in Crazy Love You, and another facet of Priss and Ian's love story. British singer-songwriter Lily Allen claims in this song, that everyone's doing drugs, medicating in one way or another. That it's a dirty little secret lots of people keep. And it's certainly true of Ian. Ian has been drowning his demons in alcohol, quieting them with pills, and partaking in almost any prescription he can find – anything to keep him from being himself. He also disappears into his fiction, his other portal away from the reality of life. This makes him a completely unreliable narrator, and I was constantly off balance with him, never quite sure whether what he was experiencing was the result of his imagination, trauma, fiction or addiction. The year I spent with Ian Paine was a wild ride, kind of like dating an addict – you never know what's real. The VLA, "When I am Through with You"
When I am through with you/ There won't be anything left. The song, which I first heard as the theme for the television show "Damages," has a gripping and compulsive beat that captures the energy of the book, exploring the line between desire and destruction. I've come to pluck you/ I'm gonna pluck you right in half. Priss's brand of love is ferocious. She loves Ian, protects him, avenges him, hurts people who hurt him. When they were children, he needed her. Now that he's a grown man, he doesn't need her in that way anymore. But their lives, their histories, their appetites are so entwined that he can't be rid of her without destroying parts of himself. Priss is not willing to let Ian go, even if on some level she realizes that he'd be better off without her. She would rather see him destroyed than free of her. The Killers, "When We Were Young"
They say the Devil's water -- it ain't so sweet/ You don't have to drink right now/ But you can dip your feet/ Every once in a little while. This song brought me into Megan, the good girl for whom Ian is trying to change his life. In many ways, she's Priss's opposite, representing all the positive choices Ian could make for himself. But she has a lot of pain and trauma in her past. Like Priss (in a way), she's looking for someone to save. And Ian is a good candidate, badly in need of saving. For me, this song is about how the things we want when we're younger inform our adult choices. But those childish desires can lead us to dark places. Megan is willing to follow Ian all the way to the dark side in order to pull him back. But can she succeed in doing that without hurting herself? Sticks and stones may break my bones/ But chains and whips excite me. Priss has been formed by pain – the pain of her past and that which she inflicts on others. It seems like a part of her has come to enjoy it– her role in Ian's life, how she taunts and teases him into bad behavior, pushing all his buttons, hurting the people who hurt him. There's a danger element and a roughness to the sexual component of their relationship. There's also an element of abandon and fun to the times they've shared. This song brought that energy alive for me, the space between pleasure and pain how what's exciting can also be perilous. Crazy Love You was reviewed in an article about romance novels, which surprised and amused me a little. One of my early readers also characterized it as a love story, a bizarre triangle between Ian, Megan, and Priss. Acknowledging, of course, that it is a dark and twisted love story, the book is ultimately about love – and addiction, obsession, the muddling of fiction and reality, and fear. If it's a romance novel, it's a disturbing one dwelling in one of those shadowy spaces between things. All of the songs on my list helped me shimmy through those spaces, emerging on the other side with a better understanding of both light and dark.